Oil is an important element of your vehicle's engine, as it lubricates the unit to prevent friction and ensure optimal performance. Checking the levels should therefore be a regular task to prevent damage that can be costly to repair. We explain how to complete the task yourself below. · Make sure the vehicle is parked on a flat surface and the engine has been switched off for at least two minutes, so the oil is resting. · Grab a cloth or paper towels to clear oil from the dipstick. · Once you're prepared, open the bonnet and locate the vehicle dipstick, which is usually marked with a brightly-coloured ring at its top. 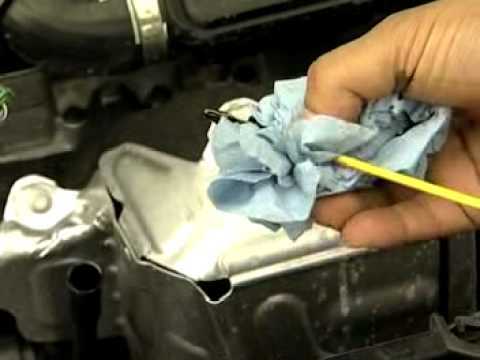 · Remove the dipstick completely, then wipe it with the cloth or towel to remove all oil. · Place the dipstick back into the gauge and remove it once again - where the oil finishes is your level. This should fall between the minimum and maximum markers. If the oil level is below the minimum marker you'll need to add more or risk damaging the engine. To do so you first need to find out the right type for your particular model, which should be stated in the vehicle owner's manual. Next, locate the oil filler cap in the engine bay. It's usually marked with the word 'oil' and features a picture of an oil can. Pour in small amounts of oil and check the level again until you've added the right amount. All you then need to do is screw the filler cap back on, and you're done. For professional help with checking and topping up your vehicle's oil level, please feel free to get in touch with the team at your nearest Sturgess Motor Group dealership. You can also enquire at any time to book a full service or repairs whenever you need them.